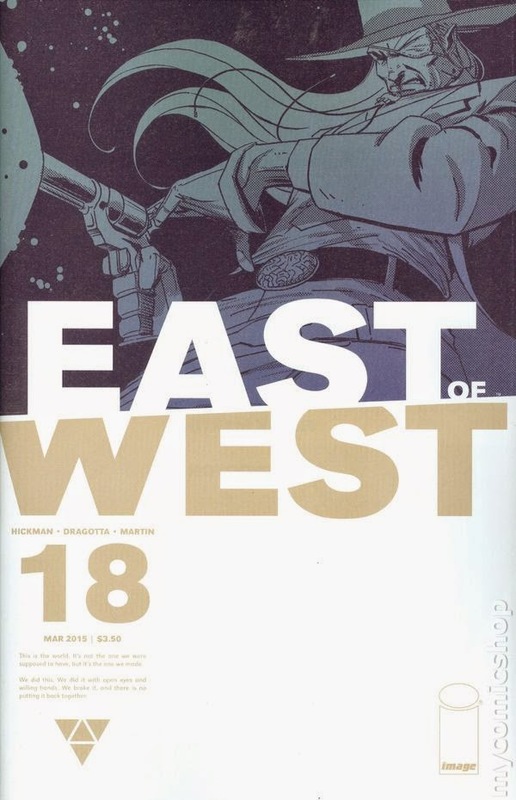 East of West #18 - Written by Jonathan Hickman, illustrated by Nick Dragotta, colored by Frank Martin, lettered by Rus Wooton, published by Image Comics. Babylon is free and roaming the world, but the world he sees is not the world that is. His companion, Balloon, a robot that feeds the boy both false imagery and a steady stream of information meticulously created by the Chosen and three of the Horsemen of the Apocalypse to bend the powerful child to their intent. Now, one of the Chosen has his own plans for the boy. Meanwhile, Death heads out to track down Babylon, his son. 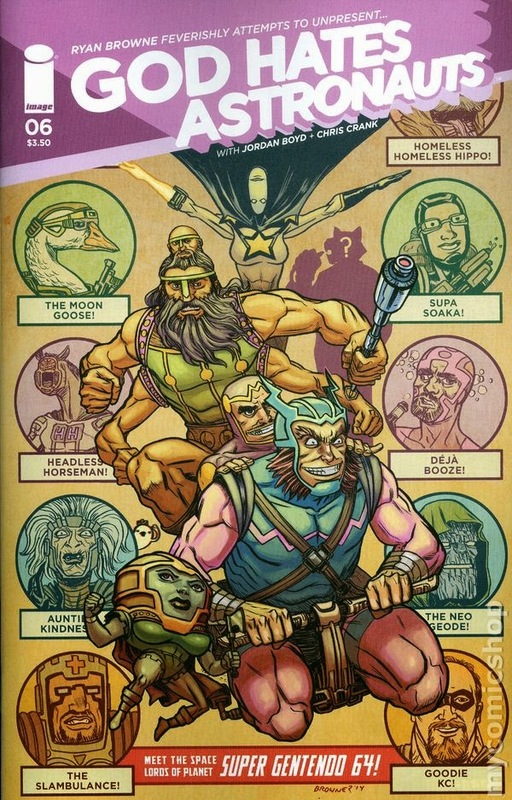 Denizens, I don’t know whether to laugh or recoil in horror over what happens in this issue. It’s humorous and uplifting in that Babylon, despite the years of misinformation fed to him, is still a boy who wants to have fun. Seeing him play with Ezra’s creature-at-arms (this makes sense if you’ve been reading this series) made me laugh at how innocent Babylon is as he throws the stick for what Balloon forces the boy to see as a large, cute, hampster thing. In reality, the creature is an eyeless, exposed-brain, large-toothed, pink monstrosity that was formed from what was Ezra’s right arm (again, this makes sense if you read the past few issues). The thing is, I don’t know what’s more horrifying: the fact that this revolting creature was once Ezra’s arm, and that neither hold the world’s best interest at heart; or the level of psychological abuse and manipulation the Chosen have enacted upon Babylon. <brrrrrrr> I tell you what, though, I can’t wait for Death to catch up to those who’ve been messing with his son all of this time, or to see what happens when Babylon, “The Beast,” finally breaks free and begins to experience the world as it is — whatever happens, it ain’t gonna be pretty. Dragotta’s art is always exceptional on this series, but given the level of detail and the exceptional creepiness of this issue, you can tell he had a blast getting wicked with the imagery; his designs and storytelling have never looked better. The jumprope panel is just…look, you just need to read the issue and you’ll be laughing as you shiver with unease. Another highpoint is Martin’s coloring, which messes with the mood you should be feeling when combined with Dragotta’s art. What you have is a dark, scary (and false) world with attractive and cutesy characters (also false), cut with a bright, green, beautiful wooded area inhabited by horrors — beauty and the objectionable coexisting as mirrors between the virtual and real world. As a bonus, Death’s terrifying horse beast finally makes a return appearance in this issue. 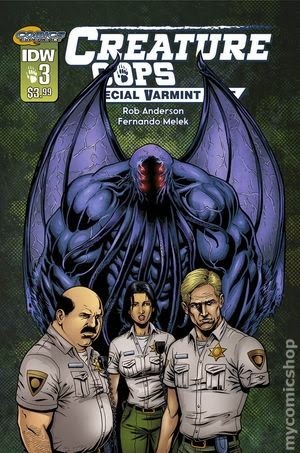 Make no mistake, this is another great issue of this fine series, and the fact that I will be thinking about it for the next week or so — ugh, that arm monster with those teeth! — stands as an example of these creators’ immense skill. As always, this post apocalyptic, alt-history, sci-fi epic is not for casual reading. You need to be fresh and ready with a quite spot to allow yourself the proper environment to fully experience this complicated tale. If you haven’t been reading East of West, you can easily catch up with the first three trades, on what is yet another of Image Comic’s amazing offerings. HIGHLY RECOMMENDED! Universe! #2 - Everythinged by Albert Monteys, published by Panel Syndicate. In the far future, robots and A.I.s have taken up many positions in society. They are shopping malls, they are citizens, they are companions, they have even become our spouses. Enter the MRR3, a companion bot that requires just a small amount of their companion’s blood — and a little conversation — to form the bonds of true love. But when MRR3s begin killing their human spouses, the company that manufactures them, Soulmates Companions, has some investigating to do. I absolutely loved this issue! 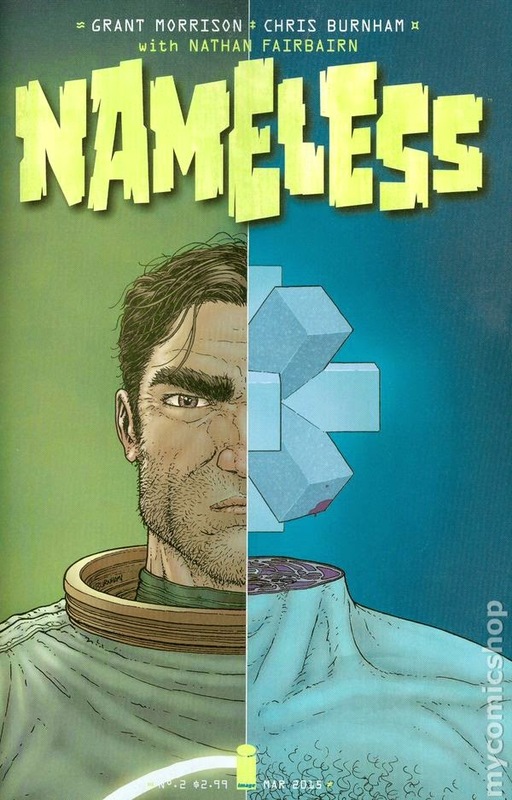 Much like the first, must-read installment, Monteys puts a comedic spin on a futuristic, sci-fi tale steeped in social / political commentary that is almost uncomfortable in just how close it hits modern society below the belt. Monteys has taken the idea of people being so enamored with their devices a few steps further in that not only can people physically love their devices, but the devices can actually love their user / owner / companion back; in this case they love their humans too much. In this crazy world, human-on-human relationships (such people are called “carnals”) is something of an anomaly that only those with open minds can understand. There is actually so much going on in this story in respect to commentary on humans and machines, humans and humans, what people think of their beloved machines after they are gone, and how we are falling away from human interaction that I am sure I am missing many other subtleties that Monteys has tucked away in this amazing story. Thankfully, that is what rereads are for, which I will definitely be doing. The art…oh boy howdy, the art. I was blown away by Monteys line work, character design, storytelling, and character acting skills in the first chapter, and the visuals continue to thrill, and possibly improve, with this issue. This is before he even adds the rich, vibrant, striking colors to his already impressive illustrations. He utilizes a mostly flat color palette along with color knockouts on his lines when depicting various forms of holographic imaging and technology that have to be seen to be believed. Each page demands spending some time to appreciate, as there are many additional unexplained tidbits tossed into the various scenes. What’s the deal with that cute little robot? What exactly is that thing on Lola’s foot? What happened to Raul’s arms, and how do they work? Who knows. We won’t. 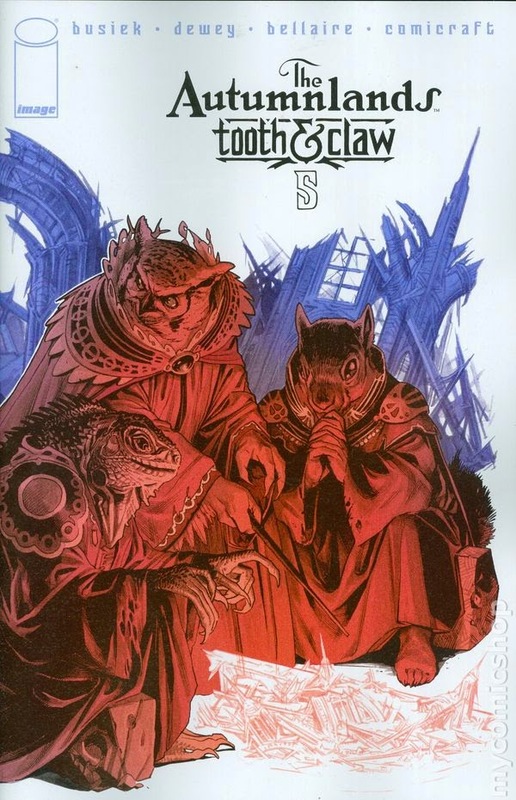 It’s the future, denizens, it is what it is and you just need to go with it, and I love this book for giving us so very much, while still leaving much to the imagination. Support this. Support this. Support this! Universe! 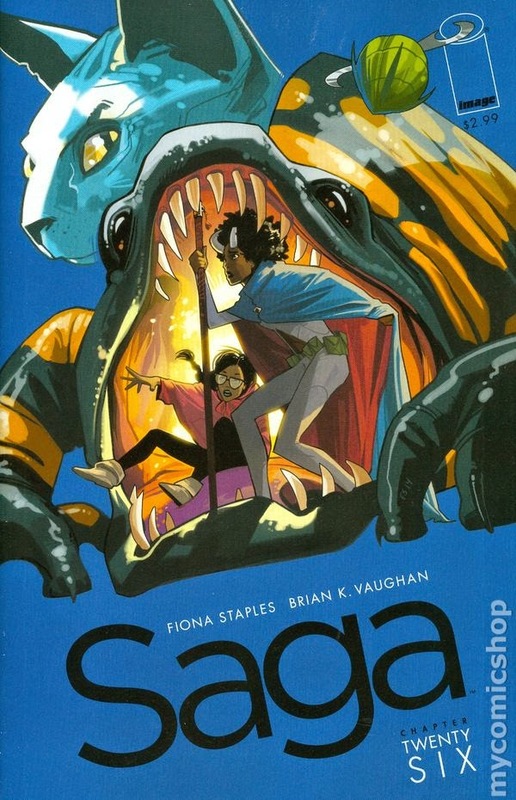 is from Brian K. Vaughan and Marcos Martin’s Panel Syndicate, which means that it is available in a digital-only format, and the crazy thing is that you can contribute any amount you want to gain access to a download, which includes FREE. So, if you have any doubts about this book (or the must-read The Private Eye), then download these two issues, read them, love the, and then go back and kick a little somethin’ somethin’ to the creator to ensure that we get to see more of this amazing creative endeavor. 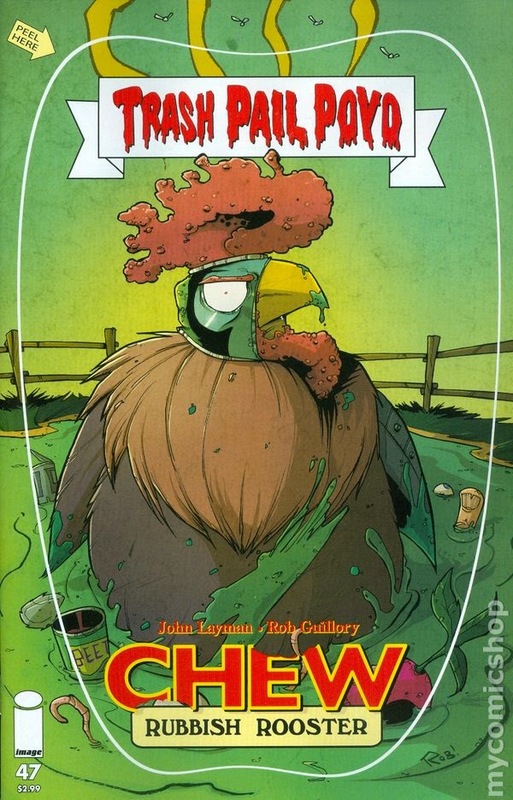 I chipped in $3 for each issue, and I intend to buy some prints if Panel Syndicate decides to offer some. I am beyond excited to see what Monteys comes up with in the next issue. VERY HIGHLY RECOMMENDED! 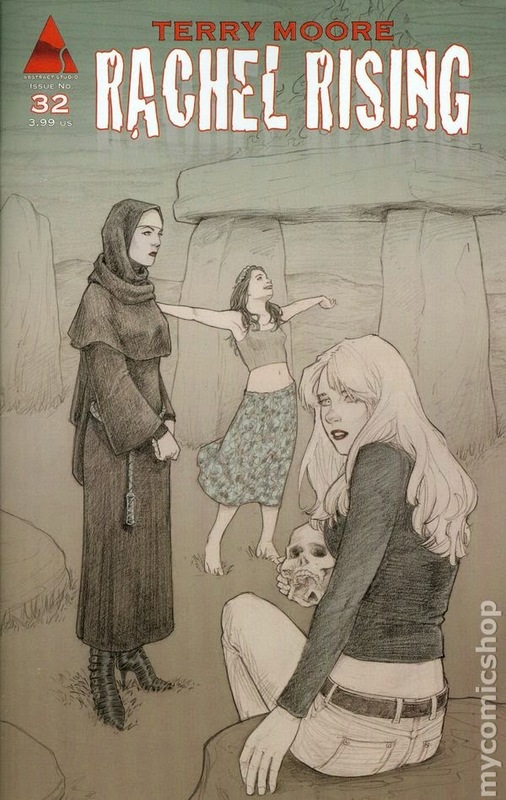 Rachel Rising# 32 - Everythinged by Terry Moore, published by Abstract Studio. Bad things occur in the town of Manson. In fact, they’ve been happening for quite some time. People tend to die…often, but the problem is the bizarre circumstances behind the inhabitants’ deaths. One might almost believe an ancient evil was loose and seeking to amuse itself in the quiet town. Rachel, Zoey, and Aunt Johnny are not really in much of this issue. 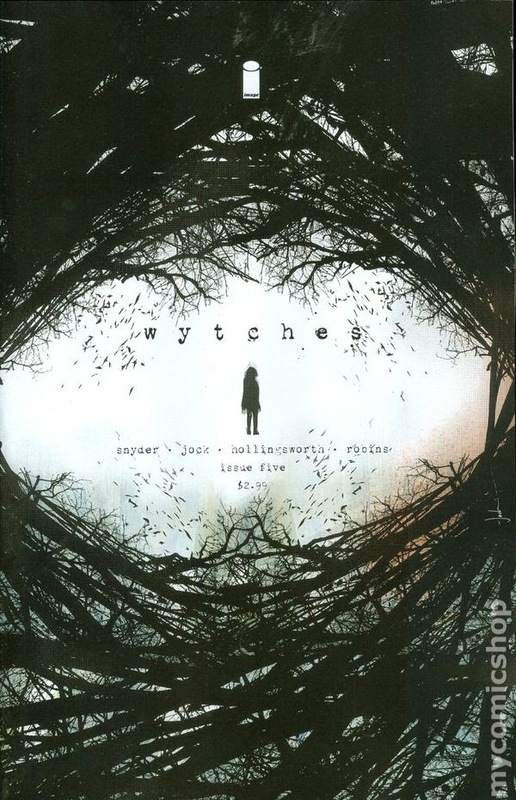 They actually only appear for six and a third pages, yet Rachel Rising continues to be an intriguing read. 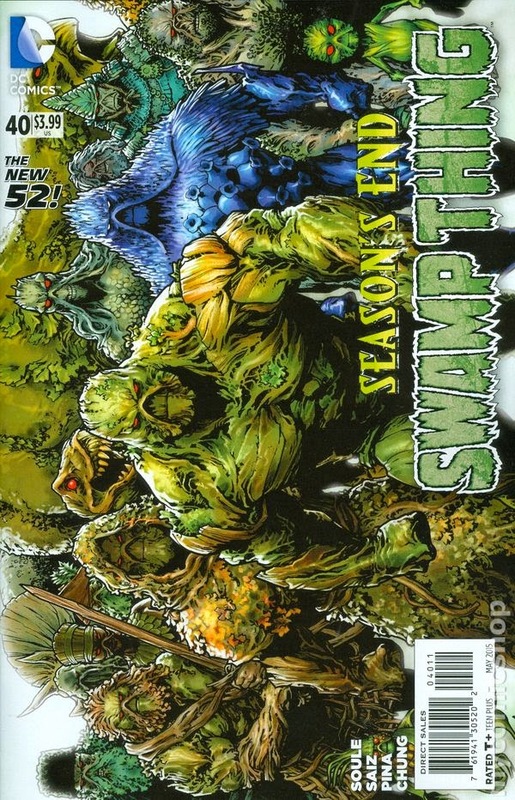 This issue mostly focuses on the guy involved in the decapitation incident from last month, a character who will not be returning to the series after this issue. 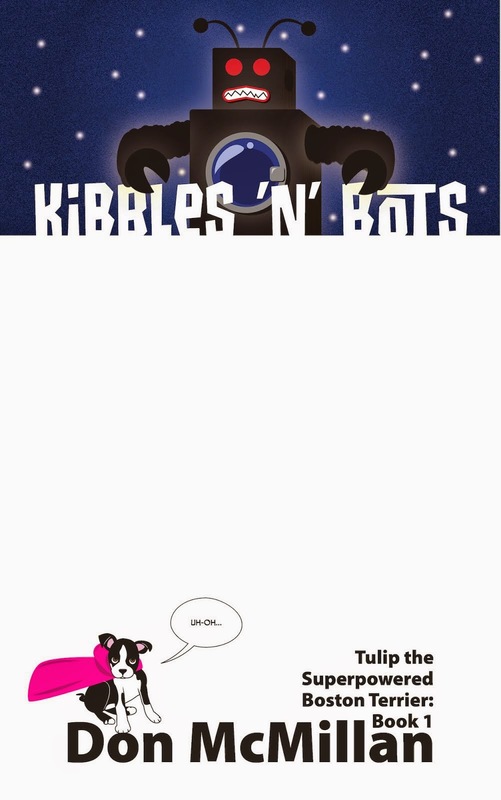 Usually, this sort of thing would turn me off of a book, but not with this creator. Moore manages to make Zak, the person present at the moment of last month’s victim’s death, both interesting and relatable. Through brilliant phrasing and Zak’s dramatic facial expressions as he stands atop the water tower reflecting on the events that led him there, Moore brings you into this Manson resident’s life, managing to make the reader care, and care deeply. 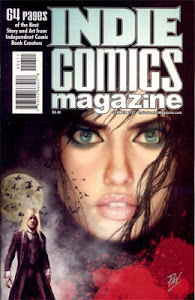 I can see how this slight detour might put some readers off, but in the end, this issue serves to further develop Rachel Rising’s world, and the influence Malus has had upon it. Yes, this issue is different in its pacing and presentation, but if I’ve said it once, I’ve said it a thousand times (or at the very least 31 times previously), Rachel Rising is an absolute treasure. 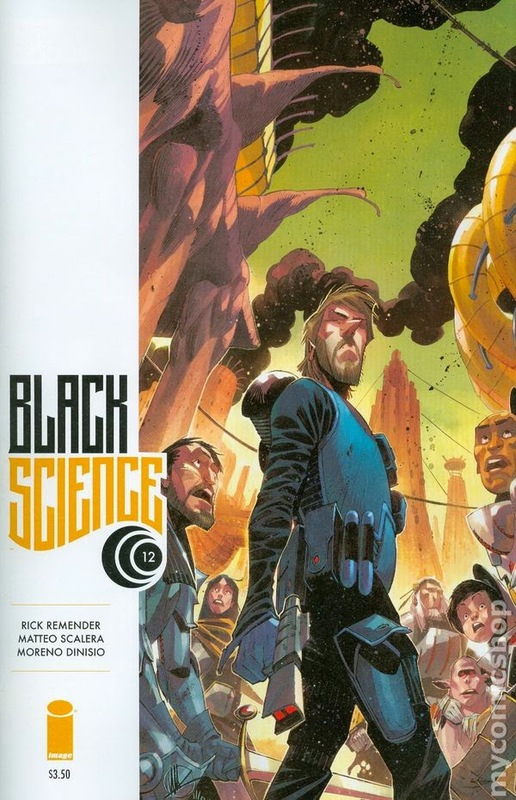 If you are a fan of Moore’s other phenomenal creator-owned work (Strangers in Paradise and Echo), then I can assume you are already hugging close a copy of this amazing series as you read this. If you have not read Moore’ work (shaking my head in sadness), then I’m excited and envious (my spirits rise) that you can experience both his older books, and this beautiful horror title (five trades of Rachel Rising currently available!) for the first time. You have your reading assignment…get to it. HIGHLY RECOMMENDED! 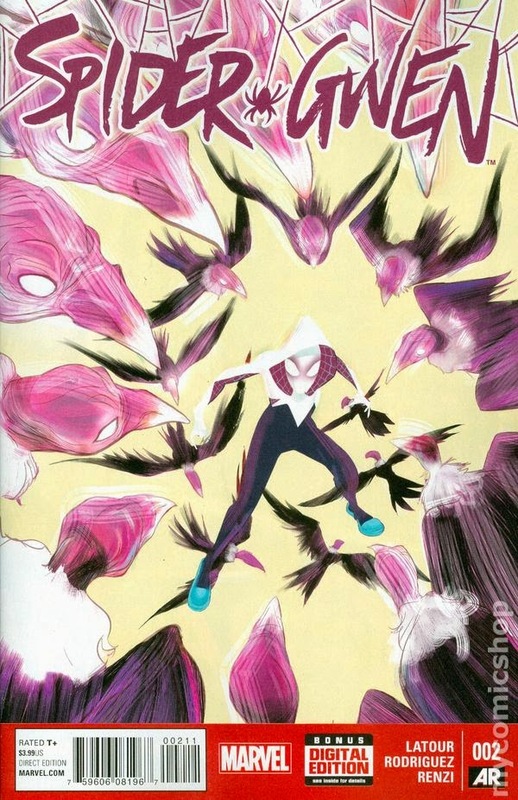 Spider-Gwen #2 - Written by Jason Latour, illustrated by Robbi Rodriguez, colored by Rico Renzi, lettered by VC’s Clayton Cowles, published by Marvel Comics. When we last left Spider-Woman (we know her as Spider-Gwen, true believers), she was plummeting to her death. But killing off Marvel’s biggest breakout character in years, after just a couple issues, is not exactly a sound business decision. She pulls through. Unfortunately for Gwen, surviving and working through a concussion leaves her seeing things and trying to process what happened. Thankfully she now has the guidance of her fairy godmoth—…errr…godpiggy? Spider-Gwen continues to be a fun, vibrant roller coaster ride, and with the inclusion of Spider-Ham — something I enjoyed in this issue, but hope doesn’t become a recurring thing — it is clear that this book looks to stray from the dark, gritty, moody, fuddy-duddy attitudes found in most of today’s superhero comics for something a bit more upbeat. Thank goodness. My main problem with Spider-Gwen stems from not having read her introduction in Edge of Spider-Verse #2, which is not that big of a deal. The creators have stoked my interest in the character and now I want to know more of Gwen’s backstory as I’m left a shade in the dark as to some of Gwen’s motivation; I guess I need to visit my LCS this weekend. Again, not that big of a deal. The art, both line work and colors, is gorgeous beyond description and I especially love the two-page flashback sequence of how Spider-Woman survived. The purple tones are just beautiful, and that character design still manages to wow me. So, even though I still feel like I came late to the party and missed out on some of the cool stuff, I'm still at the party and getting into the swing of things. 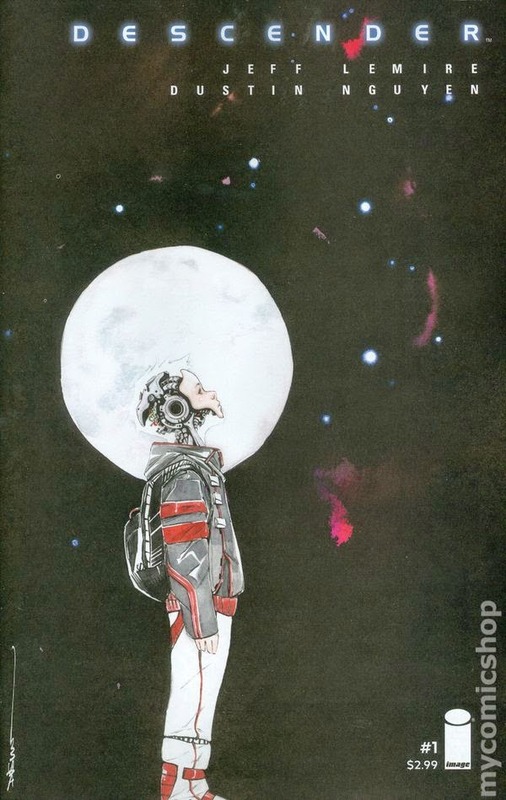 The story is cool, the art lovely, and the book is an overall good time. I’m excited to see what comes next…and to get that dang Edge of Spider-Verse #2. HIGHLY RECOMMENDED! The Sixth Gun: Dust to Dust #1 - Written by Cullen Bunn, illustrated by Tyler Crook, colored by Bill Crabtree, lettered by Crank!, designed by Keith Wood, edited by Charlie Chu, published by Oni Press. It’s a shame, what happened to ol’ Billjohn O’Henry in the wake of the Battle at the Maw. We grew to be quite close to the kindly-yet-deadly man, but this is not a tale about the day of his death. This is about the man prior to such dark times. I unfortunately read this book quite late, and don’t have enough time to properly do it justice. Let’s just say, I loved this issue. 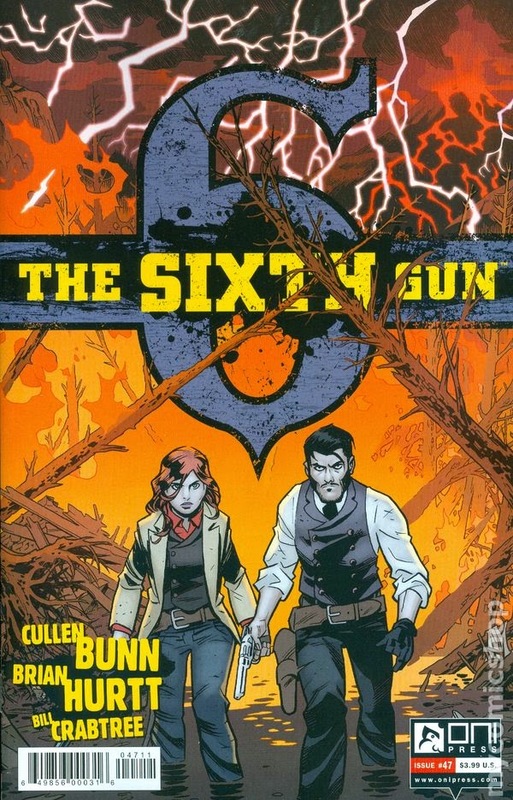 I’m a huge The Sixth Gun fan, but the various side tales, although good, never quite grabbed me the way the main title had. 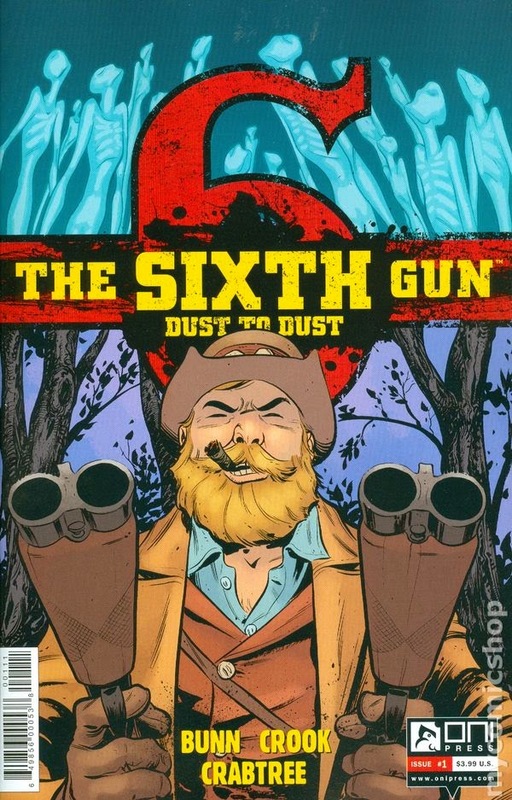 The Sixth Gun: Dust to Dust is entirely a separate matter. I really liked Billjohn from the early parts of the main title, which is why when he dies, I was left shocked and saddened. 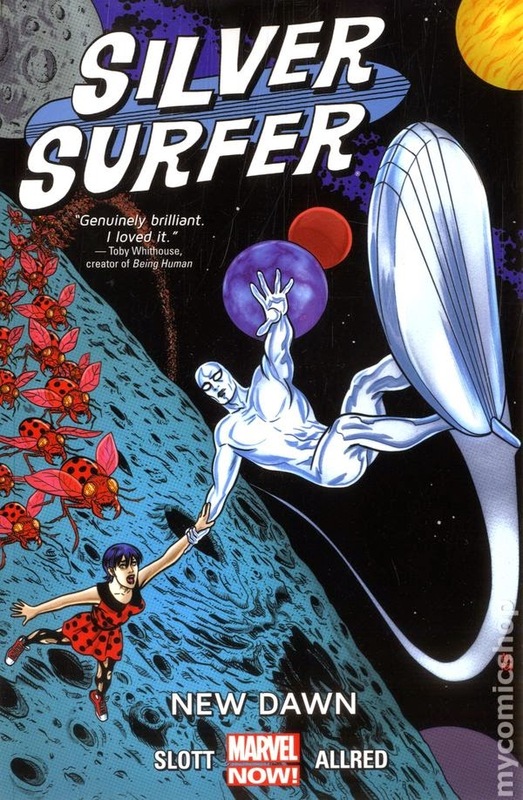 After reading this issue, it is apparent that Bunn has an affection for this character — as he should, he’s great — and possibly regrets having him die so early in the series. I’m glad he chose to return to Billjohn for some much-appreciated additional time. Crook’s art, with Crabtree’s signature colors, is fantastic on this more-Western-than-supernatural take on The Sixth Gun universe. The storytelling and character acting serve to make an already likable character even more so. If you are a fan of the main title, and surely you must be, then this mini-series is a no-brainer purchase for sure. Get it! HIGHLY RECOMMENDED! Over-Caffeination (or, the Art of Being Nervous and Jittery as Heck) - I don’t know why I keep overdoing it on the coffee (yes, I do, it’s called being addicted to caffeine), but I just can’t help but go ballistic with that ever-so-bitter, opaque goodness, especially on Fridays. As I have said before, I wake up early. 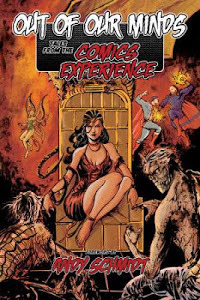 The alarm goes off at 5:00 AM on each weekday…whoa, whoa, whoa, settle down, you should actually try adjusting your schedule to getting up very early; it’s how I wrote my first two novels, maintain Donist World, as well as wrote several comic scripts via ComicsExperience. Now, I keep trying to quit coffee as even a little bit messes me up for the day, but I love the taste, and the process of brewing a perfect cup of coffee, like craft brewing, is a most serious art form. I just wish coffee loved me as much as I love it. The thing about Fridays, is Amy the intern (my wife) and I are downstairs and working on our personal projects by 6:00 AM and the coffee begins to flow. Then we head over to the South Coast Deli at a little past 7:00 AM for an end of the week special bagel…and more coffee. By the time I’m back in front of the computer, I’m caffeinated out of my gourd and trying to write. <bbbbbzzzzzzzzzzzzzzz> <sigh> I need to switch back to tea, but coffee is just so GOOD! Labels: Albert Monteys, East of West, FSoH/SitW, Jason Latour, Jonathan Hickman, Nick Dragotta, Rachel Rising, Robbi Rodriguez, Spider-Gwen, Terry Moore, Universe!